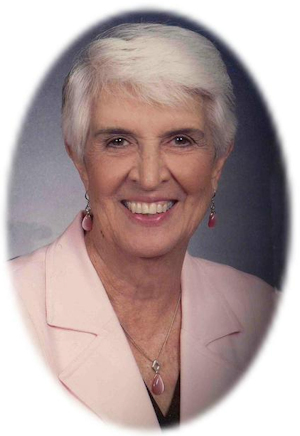 Obituary – Shiever, Ethel Deloris (Cowell) « Perry High School Alumni Association, Inc.
– daughter of Mr. and Mrs. Roy Cowell, was born March 28, 1920, in Perry, Oklahoma. She attended the Lutheran school for either years and Perry High school for four years. She was in the freshman play. She was a glee club member all four years and in the quartet three years. She played the bass drum in the band during her junior and senior years, and also orchestra. She is especially interested in stenographic work. Next year she expects to go to college. Ethel Deloris Shiever, 89, of Morrison, Oklahoma, was the daughter of Roy Wilson and Lena Martha Baetz Cowell. She was born on March 28, 1920 in Perry, Oklahoma and died Friday, April 3, 2009 at her home. She received a business degree from St. Johns in Winfield, Kansas. On July 25, 1942, Ethel married Stephen R. Shiever at the Christ Lutheran Church in Perry, Oklahoma. Ethel was a member of the Christ Lutheran Church in Perry where she was the church organist for sixty-one years. She worked at both Foster Corner Drug and Donahue & Mugler. She loved her life on the farm where she enjoyed gardening, canning and cooking for anyone and everyone. Funeral services will be 10:00 a.m. Monday, April 6, 2009 at the Christ Lutheran Church in Perry. Rev. William Metz will officiate. Interment will be in the Morrison Cemetery. Services are under the direction of Brown-Dugger Funeral Home in Perry. The family will receive friends from 6:00-8:00 p.m. Sunday, April 5, 2009 at Brown-Dugger Funeral Home. Memorial contributions may be made payable to the Christ Lutheran Church or Judith Karman Hospice in care of Brown-Dugger Funeral Home, 1010 N. 7th Street, Perry, Oklahoma 73077. Ethel is survived by her husband, Stephen R. Shiever; three sons, Stephen C. Shiever and his wife, Cindy, of Crescent, Oklahoma, Randy Shiever and his wife, Lonna, and Vance Shiever and his wife, Linda, all of Morrison, Oklahoma; seven grandchildren, Stephen S. Shiever of Alva, Oklahoma, Matthew Shiever of Olathe, Kansas, Mitchel Shiever of Noble, Oklahoma, Jason Shiever of Oklahoma City, Oklahoma, Justin Shiever of Sulphur Springs, Texas, Lindsey Shiever Buckminster of Ft. Worth, Texas and Beau Shiever of Edmond, Oklahoma; five great-grandchildren and one brother, Otto Cowell and his wife, Vaynne, of Stillwater, Oklahoma.